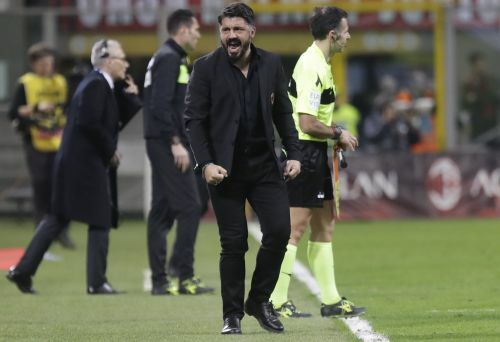 Gattuso was sent to the stands in the first half of Saturday's win over Chievo Verona and risked being banned. But the Italian league says he has instead been fined 15,000 euros ($17,000) for "having directed an intimidating expression at a player from the opposing team." Third-place Milan is a point ahead of city rival Inter. The top four teams from Serie A qualify for next season's Champions League.